The crops are in at NOW Hunters Point! Be sure to check out the fruits of our collaboration with City of Dreams at the next NOW Hunters Point event. 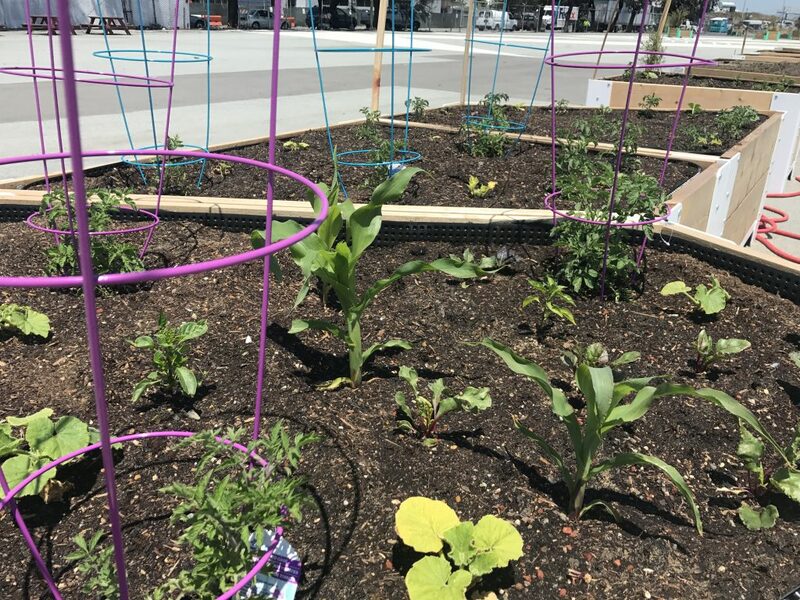 The NOW Hunters Point Urban Farm aims to address issues of food access, healthy cooking, and eating for youth and families living in public housing in the Bayview. The NOW Hunters Point Urban Farm engages 15 youth aged 12-17 who live in public housing with after school and Summer employment as Jr. Gardeners. These youth will develop basic job skills as well as hard and soft skill sets in urban farming, nutrition, meal preparation, and community education and customer service. Produce grown at NOW Hunters Point Urban Farm will supplement the weekly diets of at least 24 families living in public housing in the Bayview. The long-term goal of this collaboration with City of Dreams is to increase the number of families living in public housing in the Bayview who regularly cook healthy meals for their families utilizing produce from local community gardens and whole/less-processed ingredients found at their local food bank pantry.